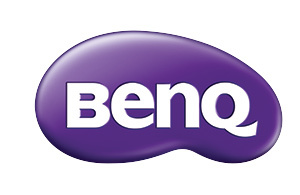 BenQ LU950 harnesses enduring DLP picture quality and razor-sharp WUXGA resolution to deliver impactful visual communications. With HDMI out for multiple screen applications and versatile installation flexibility of extended horizontal and vertical lens shift, big zoom, 360˚ projection, digital image resizing and memory, LU950 expertly supports demanding corporate requirements. BenQ LU950 laser projector is designed with sealed laser modules and enclosed light engines to protect the DMD chip, color wheel sensor, laser bank, and other optical components. It effectively eliminates color wheel sensor failure, visible spots on the image and color decay to significantly reduce service costs and downtime. The design has passed the dust chamber test standard JIS Class IP5X for superb dust protection. Incorporating a color wheel sensor with an ingenious anti-dust buildup features, BenQ LU950 prolongs optimal performance by repelling dust that can accumulate on a traditional sensor to block the IR signal and cause flickering, abnormal colors, or even shut down. Equipped with an integrated air pressure sensor, LU950's intelligent High Altitude Mode automatically alerts users to enable efficient cooling and properly maintain operating temperatures in high altitude environments with thinner atmospheres. LU950 is widely compatible with leading projector control systems including Extron, Crestron, AMX and PJ-Link for network control via LAN, making it simple to integrate into corporate network infrastructures. When there is no LAN infrastructure, LU950 also supports RS-232 for reliable long-distance Installations up to 15 meters. Projection Size 30" ~ 300"